This story was originally published on July 16, 2011. The author nominated it for Snake-Oil Cure’s First Short Story Contest. Terence hoped the reassuring smile he offered Jenette was both reassuring and a smile. He glanced at the time. Another hour and a half. The motorway. At least in name. The long series of roadworks strung together with brief stretches of road served a slow route to the airport. Terence had, of course, accounted for the extra time it would take. But he found little comfort in his planning. The contingency gave him longer to mull and stew. He did not consider himself awkward or shy, just particular. Particular about social situations and particularly about physical contact. Intimacy wasn’t public and it didn’t come in degrees. They crawled past traffic cones and through contraflows. Jenette leafed through a holiday guide. Janie slept in the back in her car seat. Scenarios and evasive manoeuvres raced through Terence’s mind. Roadworks only gave him more time at the wheel to contemplate the possibility of having to hug — and perhaps kiss — his mother-in-law goodbye at the airport. This story was originally published on December 21, 2011. 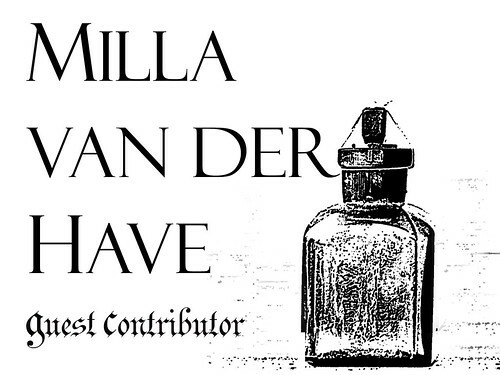 The author nominated it for Snake-Oil Cure’s First Short Story Contest. here was a day I opened my eyes and found the sheer fog usually blocking me from the world had faded. Even knowing this meant I would again be called upon to use my gift was not enough to obscure the satisfaction I felt as the trembling in my fingers turning to tendrils of sensation traveling up my arms. I pulled in a tentative breath, inhaling the too strong perfume and a whiff of smoky aftershave, sensing I knew why tonight I was finally able to see and hear the world of the auction house when so many other nights had come and gone without notice. I tried to concentrate on remaining motionless as person after person walked past my painting. Geoffrey gave my painting a ghost of a smile before turning to the woman standing next to him. I watched him carefully, thinking that the twinkle in his eye meant he actually did know quite a lot about me but he just wasn’t telling. I felt my fingers tingle with an unfamiliar excitement, wondering how much more this old man knew as I felt a buzz continue to travel over my skin. “Well, I think it’s creepy to use the words confession and sacrifice together in a title to describe that little angel in the painting.” She gave my painting one last inquisitive look before walking over to examine some of the other auction items on display. A woman wearing a whole company of foxes leaned close to me and said in a booze- soaked whisper, “my husband doesn’t know that I’m in love with the gardener.” She blinked several times and stood straighter, looking around her as if to ensure she was still alone, before giving me a quizzical glance and walking away. Laysan albatross, Laysan Island, circa 1961-1973.
hey came to dance. This was their island, a jagged assortment of rocks, grass, and sand breaking the continuity of the northern Pacific. Since the last days of their youthful sea exiles, the pair of sleek-winged, splay-footed Laysan albatrosses had flown to this place, mapped onto their minds, to come back to the dance they created together, their only source of grace on land. They had hatched from eggs on islands such as this one, fledging and then spending their first years of life over the ocean. Their narrow gray wings sliced the air directly above the water, and sometimes didn’t flap for days as they rode the air currents close to the waves. They stayed far away from land, could sense its dry presence in their tucked-in, inexperienced feet. The openness embraced them. Their dark wings and dorsal sides offered long, feathered spans to the sky, their white underbellies cast slim reflections on the water. They were nomads of the sea. The two albatrosses had crash-landed on the same island decades ago. They gave their lives to skimming the sea, but after their period of complete watery exile, they looked for land to start their species’ yearly courtship ritual. Both being unaccustomed to and uninterested in terra firma, the young birds flew against their natural direction to the first bit of land that tickled their feet. Having been airborne or floating gently on the water the entirety of their young lives, the birds knew only the stinging salt greeting of Pacific air and the certainty of the sea. Land was a strange, ill-understood concept, forgotten from their days as hatchlings but reborn in their brains by an instinctual reminder suddenly awakened. As this feeling reached its apex, each bird picked out a dry spot in their familiar ocean and aimed their beaks toward it. They were joined by a nautical plague’s worth of other albatrosses, all earthbound, quickly dropping from the sky and populating islands normally forsaken by all but the wind. Neither had attempted to land on something other than water. From the east, the female glided over the island, then, unsure of the correct next steps, catapulted her slight bones onto the beach. From the west, the male, not thinking to skim the land like water, folded in his wings and stuck out his feet. The falling birds scraped the rocky sand, drawing feathered wing lines and etching frantic footsteps. When the momentum of flight finally ran out, their paths halted less than a wingspan away from each other. Before they even got to their land-shy webbed feet, their beaks met the same angle from their respective crash sites. After the sea, their only known home, the first thing they saw after their land reawakening was each other. Six-foot wingspans, now out of the air, spread across the sand, and a disorienting firmness spread beneath their hollow-boned bodies. But their tiny bird hearts beat flutteringly in the mess of it all. They were for each other. No other albatross would do. The birds, unused to ambulatory support, struggled to regain balance. Without water or wind, their means of transport were effectively amputated. But each found bearing in the gaze of the other, a pull that helped them find their feet. The long look was their fist sustained avian contact since flying away from their parents. They felt it coming. It was like an echo that had finally found its canyon wall. The dance of their ancestors awoke in their chests, reminded their wings of their grace, and traveled down their feet and electrified the space between them. Evolutionarily speaking, it was courtship and mating. But it was also the beginning of a loving allegiance, a partnership beyond the individual sustenance and spiritual guidance of the sea. Their first dance began with a bow. Now fully on their feet, the albatrosses acknowledged their new affinity for each other in a synchronized, stately brush of the ground with their beaks. Their bodies seemed to know this rhythm, to start a choreography for the future. Besides flight, it was the beauty in their lives. The birds drew out of their bow to face each other again, seeing the years of sea in the other’s black-rimmed eye. The male started a deep coo, making his feathers rustle as if windswept. The female echoed his sound and added a series of clicks, sending her beak into blurry pecks at the air. The bird ballet had begun. In this first instance of their dance, every movement was spontaneous, yet grounded in a genetic code, and beautifully matched. It was perfect togetherness. Their bones were made to blend, their steps coded in ritual but performed for the first time. They came to dance. Amid their mutual background of clicks, coos, and warbling, the shared choreography unfolded. With a sudden, simultaneous inhalation, the birds nimbly aligned their legs, necks, and beaks to the sky, looking to something open like the sea. They held their breath, directed to the sky. Then back, their beaks tucked into an upturned wing, each on the opposite side. Though removed from the air, it was a series of avian movements with the sinuous continuity of flight, the unbroken sincerity of a long glide on a wind current. The ritual went on. Neither bird knew a way to break the patterns manifesting themselves in feathers, beaks, and webbed feet. As the island’s rocks cooled in the day’s retreat, the albatrosses finally drew together, feather to feather, tucked beaks into wings, and slept their due sleep. Season after season, they had come to dance. The birds surrendered to the land, found the anchor of the other, and gave form to the rhythms embedded in the spaces between their nomadic hearts. In recent years, the eggs were no longer coming after the ritual. They no longer warmed a little being under their feathers, the reason for their union lost to a mystery of aging. But though courtship was no longer a necessity, it was still their ritual. The years piled up like rocks on the only beach they had ever slept on, and still they danced. In their yearly partnership, their wayfaring oceanic lives were translated into a terrestrial exchange. Decades after their first dance, the birds looked once again into mirrored eyes. With the same nautical grace, they arced into their bow. Saluted, the steps began, as stately and well-defined as they had ever been, but perhaps the choreography would disappear, this iteration, into the mawing ocean silence after the ceremony unbraided the pattern. The aging albatrosses, following their ancient itinerant longing to turn back to the sea, could forsake land altogether, without the promise of return. Their dance would disappear with their slow-beating wings. Its only traces would linger in the blood of hatchlings fledged long ago, now feeling the perfect rhythm of their own steps. At least once more, it was a rhapsody in two. This post is part of our series of works inspired by the Smithsonian Institution’s photo archive, made publicly available on Flickr. If you would like to, choose an image from their collection and create something – be it prose, poetry, audio, or visual art – inspired by it, and send it to snakeoilcure [at] gmail [dot] com. 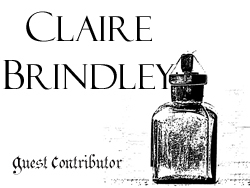 Claire Brindley lives in Washington, DC, where she walks herself silly in search of the unknown. Her other contributions to Snake-Oil Cure can be found here. This story was originally published on November 4, 2011. The author nominated it for Snake-Oil Cure’s First Short Story Contest. ne day Miss Cora came home to find everyone else had gone. At first she thought it was just her fiance. She knew he wasn’t there as soon as she opened the door. Not because of the stuff (a shirt, a half-eaten bag of chips) lying around – though this would prove to be additional evidence. No, Miss Cora had a most particular sense of smell and she immediately noticed the absence of Frank’s typical blend of aftershave, tobacco, detergent and a hard day’s sweat. She wasn’t surprised. They had been engaged for over two years and in no hurry to move on. While postponing the not-so-inevitable, their relationship deteriorated to the kind of daily trouble you don’t bother with much. Being of a practical and serene nature, Miss Cora appreciated Frank had done them both a favor by leaving. What did put her off though was the mess. Ever since moving in with her, Frank had been awfully neat. They had agreed that in her house, her rules applied and he abided by them. Until now. The dishes were still on the counter. The bin with dirty clothes had been emptied out on the bathroom floor, as if he needed to find that special shirt, and quick. Miss Cora decided to walk over to her neighbor, Mrs. Gideon. Officially to see if Frank had left a forwarding address, but mostly to avoid the bouts of self-pity she often endured when a relationship ended, no matter how much relief she felt at the man in question having disappeared from her life. Apart from Oddball, Mrs. Gideon’s goofy dog, she found the porch empty. Luckily, they had exchanged keys, just in case, so she let herself in through the kitchen door. From the looks of it, Mrs. Gideon had been preparing for a barbeque. The kitchen was filled with every imaginable meat (steaks, sausages, hamburgers, chicken legs soaked in a garlicky marinade). But from Mrs. Gideon, neither sight nor sound. This story was originally published on June 2, 2011. The author nominated it for Snake-Oil Cure’s First Short Story Contest. hen Mark and Julie’s wedding rolled around, no one could remember how long they had been unhappy. While the blissful couple was being toasted and cheered, guests at the front tables whispered about the minefield between the grimacing groomsman and bored bridesmaid across the dining room. The wedding was only the most recent in a string of disasters. That night, Sally slept on the loveseat in an elaborate origami of limbs and throw pillows, the emerald bridesmaid’s dress in a satiny pool underneath the cat. Tim rubbed his face and shuffled into the bedroom. He stubbed his toe on a box of shoes blocking the path to his side of the room. For a woman who was constantly on the verge of moving out, Sally occupied an absurd amount of space. Tim sighed and sagged into bed. He kicked his shoes off against the closet door, leaving a black scuffmark on the white paint. His pants and shirt were tossed over the side of the bed; Sally had been wearing his jacket on the drive home; the cat was merrily rolling around the crumpled sleeves, leaving behind a trail of tabby fluff in his wake. The dry cleaners could revive the tuxedo in the morning. Tim studied the framed photos on the nightstand – the trip to Greece when Sally hid behind her favorite Hollywood-sized sunglasses; the New Year’s Eve party when she could taste the resentment in his midnight kiss. His favorite was the one he taped to the underside of his alarm clock. Sally’s 21st birthday dinner, her face lit up by a flock of candles; he swore that if he looked at the photo long enough, he could figure out what she wished for that year. In the decade since that photo was taken, he blew out his own candles wishing for a time machine to go back and make it all right. The boxes still occupied the bedroom when Tim woke up the next morning. He had heard Sally fishing around for an outfit and squeezed his pillow around his head to block the noise. Vanilla steam seeped around the edges of the bathroom door. Sally emerged from her sugary shower and pounced on the bed, her hair dripping onto Tim’s bare shoulder. He could still catch the faintest boozy vapors in the cloud of perfume. She planted a row of tiny toothpaste kisses up his neck and along his jaw until she reached his lips, where she nibbled gently. “Baby, wake up.” She cringed at the whiny intonation; it had sounded sexier, coyer, in her head. Tim rolled over to face her but kept his eyes closed. from road to jagged tree-line and beyond. of its fields, its scattered houses. against a welcoming black cherry trunk. Lilacs hum. Dandelions faintly echo. Ravens caw their ageless gospels. devour all sightlines with their shadow. grows only ever where it is. and their deep roots of belief. Nothing higher than cool wilderness breath. stained-glass windows of my awe. the altars of the sun. 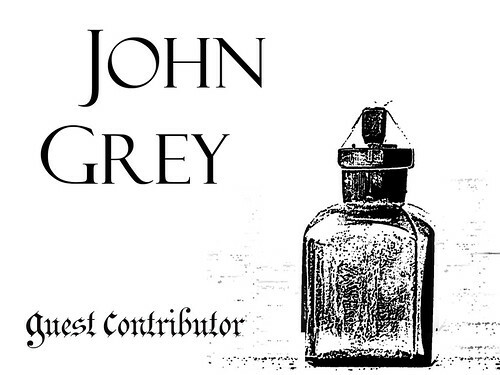 John Grey is an Australian-born poet, but has been a US resident since the late seventies. He works as financial systems analyst, and has recently been published in Xavier Review, White Wall Review and Writer’s Bloc with work upcoming in Poem, Prism International and the Cider Press Review. John Grey has been published recently in The Talking River, South Carolina Review and Karamu with work upcoming in Prism International, Poem and The Evansville Review. His other contributions to the Snake-Oil Cure can be found here. This week, we featured some of our favourite contributors, as well as some great photography from award-winning 15 year-old photographer Eleanor Leonne Bennett. Take a look at what you missed below, and stay tuned this week for the beginning of our posts in our first annual short story contest! Thanks to everyone who entered our contest, and keep your eyes peeled for great fiction next week! I pray we’re not over. 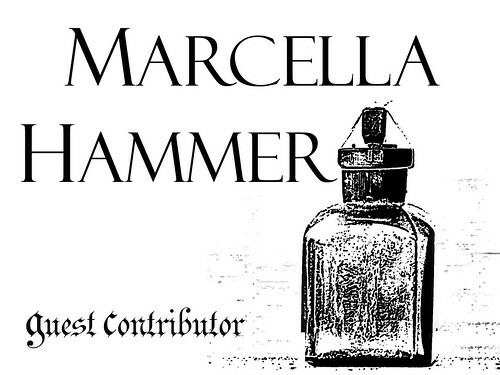 Marcella Hammer is a writer and an entrepreneur. She lives in San Francisco and enjoys mountain biking, running and good German beer. Follow her on Twitter @marhammer. Her other contributions to Snake-Oil Cure can be found here. eedlings are pathetically weak. They lack the experience to stand up for themselves in this harsh world that does not spare the young. Whichever beast pulls at them, whatever rain beats them down, theyacquiesce. A silent surrender, just a quick puff of wind as they go down. They’re easy. So easy you can buy them in four packs or tiny balls wrapped in purple tissue paper. It makes it easier to place them exactly where you want them. Not like me. I grew wild. It made me hearty, forced me to be strong. By the time I was ten I could endure the blizzards without feeling them. Sure, I still had a little give. Who doesn’t, in those adolescent years? I’ll admit I bent a few times. Mostly out of fear. If the mountain lion walks by and you catch his eye, better to bend than to be snapped out of the ground. I had a cousin who got snapped up. Roots and all. The worst part is that she made it…grew sideways from that point on. The crook is still there, at the base of her trunk. She’s good about it, I mean she’s just happy to be here, but you’d hate to carry that deformity forever, right? I made it through okay. My leaves came in a little late, but I was on the edge of the grove, anyway. No one noticed me, and I didn’t notice them. I was tall, so at least while they ignored me I had the ability to search over their heads, look down the hill at those sad little stiffs in the square gardens. All lined up against the back fence, with their leaves cut off every so often, bearing their fruit far too young. That’s what happens to the weak. If you expect them to misbehave, well, you get what you ask for. I can smell the citrus rotting from up here. I always told myself that wouldn’t happen to me. And it didn’t. I became stronger over the next few years. Some of the trees were still slim and green, but not me. I got my bark and I held onto it, put all my effort into making sure it was thick and heavy. I didn’t mind waiting on acorns, or having a little less foliage. You have to have a solid foundation. My mom told me, before she threw me out, to make sure I could take care of myself before I took on the burden of seedlings. I never forgot it. I watched friend after friend go down that path. Some were ready, some weren’t. I knew which side I wanted to be on. So I waited until I was taller and thicker than any of my neighbors. I’ll admit it, it was sort of a source of pride. When they needed someone to shelter the new birds’ nest, or a crevice for squirrels to stash their hoard, or extend some new branches to shade some new sprouts, it was always me. I was the go to tree. Everyone talked about what a great parent I’d be…until they started talking about how weird it was that I wasn’t already. I maintain that it wasn’t my fault. I did all the right things. I put my time and energy into strength. It was supposed to be the right move. It was supposed to be what everyone wanted. But when I got there…well, it wasn’t. Or maybe it was, but those trees with the heavy leaves and light branches got there first. What was left to have wasn’t worth having. Guess Mom got it wrong. After a few decades it stung a little less. I got to watch my friends’ seedlings grow up. I taught them how to push their cells into their bark, how to stand strong against the wind that blew hard every spring and every fall. Once, when a little sprout looked like she wouldn’t make it, I brought up my roots to shelter her through the tough winter. I was so proud on the day that she began to put on bark, and I watched her soft green leaves breathe softly in the sun. She was almost mine. Sometimes I still looked at the squatty fruit trees down the hill. I still thought about the freedom they were deprived of, the sad lives they led without the ability to see beyond their backyard. I still thought they were frail. But a part of me envies them now. They brought forth new life, over and over again. I will be here long after they have been replaced with olives, cypress, spruce trees. I will be strong. Almost strong enough. 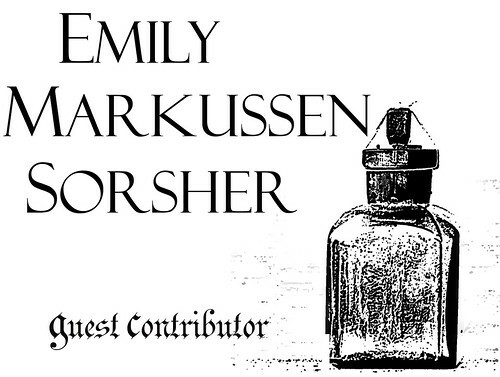 Emily Markussen Sorsher occupies space beneath a palm tree in Southern California. She writes grants, lesson plans, and young adult fiction, and has a bad habit of collecting the written word. She has lots of degrees that she doesn’t use. Emily likes her chocolate dark, her drinks strong, and her life just dramatic enough to be interesting. 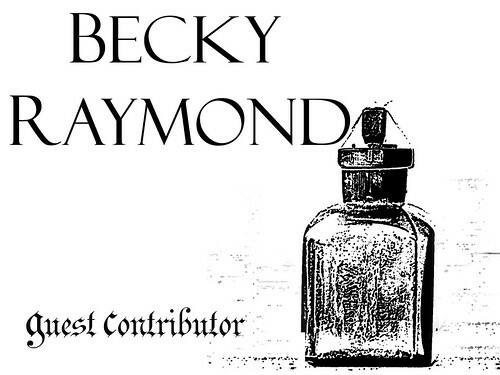 Her other contributions to Snake-Oil Cure, including her guest-edited stint, can be found here. bad news deferred until the go is gone. 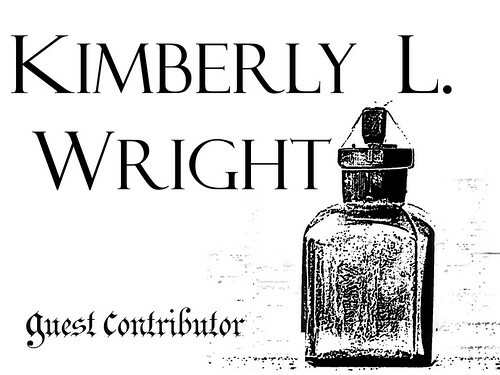 Kimberly L. Wright, an editor of a small weekly newspaper, lives in Prattville, Ala., USA. 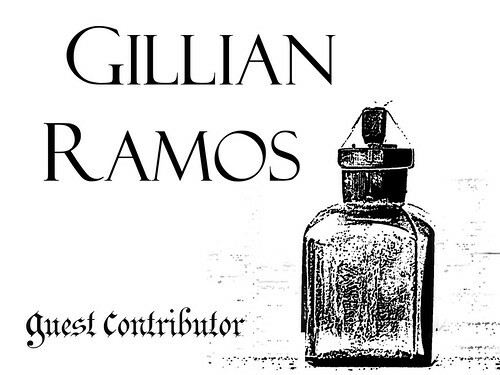 Her poetry has previously appeared in Dicat Libre, El Locofoco, Doggerel, Arrowsmith and Dr. Hurley’s Snake-Oil Cure. She is klwright73 on Twitter. Her other contributions to Snake-Oil Cure can be found here. All text and images on Dr. Hurley's Snake Oil Cure are copyright of their respective authors, except where otherwise noted. 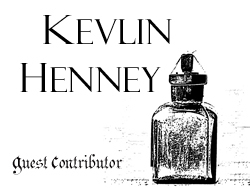 If you would like to reproduce any of our content, with the exception of concocting one of Dr. Hurley's Tonics, please contact us first.